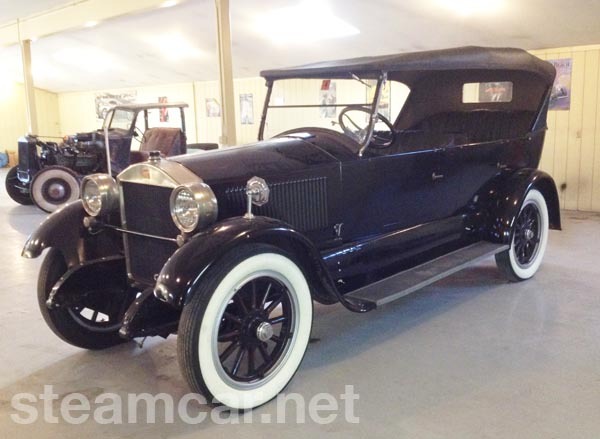 A Brief History - This Stanley was the featured Stanley at the Philadelphia Automobile Show in 1924 and was the last Stanley sold by the Philadelphia Stanley agent in that year to the Oyster family. In 1933, the car was purchased from the family by Hyde W. Ballard of Barto, Pennsylvania, past President of the Antique Automobile Club of America (1942 and 1966) and a well-recognized veteran antique auto enthusiast. In 1987, Ballard sold the car to Allan MacNicol, a resident of New London New Hampshire who owned it until 2005 at which time it was purchased by William Ruger, Jr. of Croydon, New Hampshire, noted collector of vintage automobiles. This car is in excellent mechanical condition. In 2004, Don Bourdon of Bourdon Boiler Works in Woodstock, Vermont refurbished the car, installing a new boiler and drilled burner. All components were checked out or rebuilt. 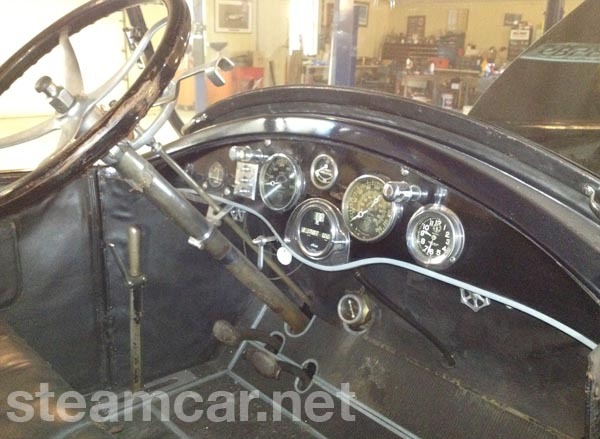 The water and fuel pumps, steam, fuel, low-water and feed water automatics were reconditioned. The engine was evaluated and found to be in excellent condition. The car has new tires. This car has a new California Top with glass enclosures that can be installed between the top of the body and the top for full weather protection. These are in very good condition. The car has a German Silver condensing shell which is unique. This vehicle has been well-cared for by its owners. Special attention has been given to retaining all of its original mechanical and cosmetic features. 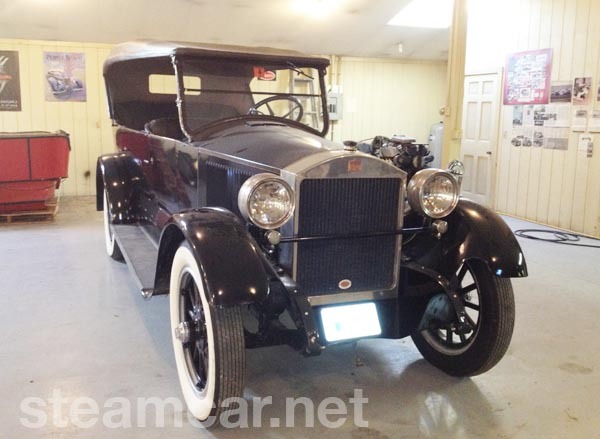 It has original leather upholstery, floor and running board matting which are in good condition. This is perhaps the finest Model 750 operating Stanley and one of seven touring cars remaining. It presents itself with a clear history, retains all of its original features, and is capable of reliable touring.